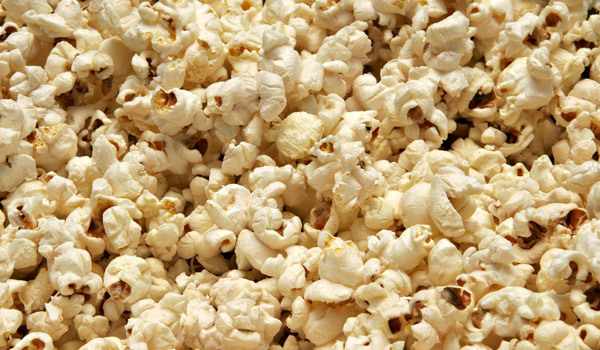 Popcorn, along with all other types of corn, is gluten-free. However, that is just the corn popped in oil. Be sure to check the label because some flavorings, spices, seasonings, etc., may contain gluten. Popcorn is a naturally healthy snack, but only if you are careful not to add large amounts of oil, salt or sugar, whether you are gluten intolerant or not!